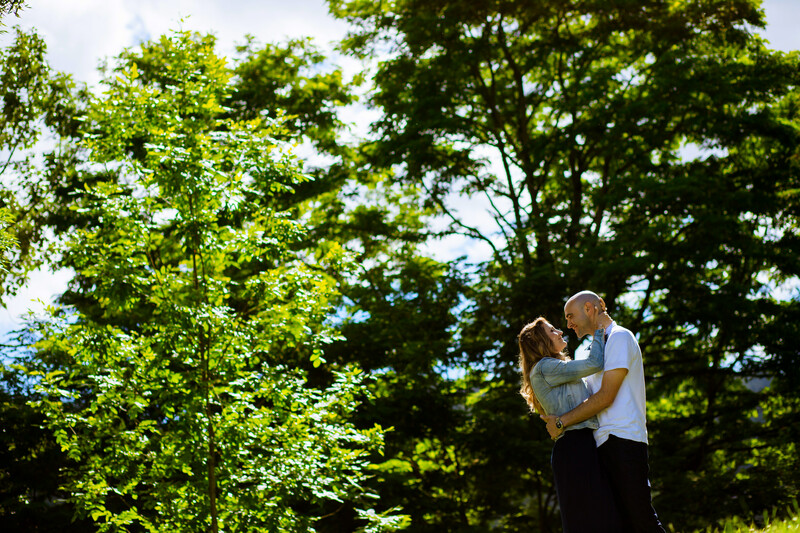 Between the iconic St. Johns Bridge and the lush background of Forest Park, we never get tired of a classic Cathedral Park engagement session. It’s just plain stunning and has so much to offer for photography. Of course, there’s the ideal backdrop of the bridge itself but the more we shoot here, the more we discover. You can walk down to the water and feel like you’re right in the middle of the Columbia. You can frame them in the bridge architecture underneath or have them climb a pillar for a more urban setting. 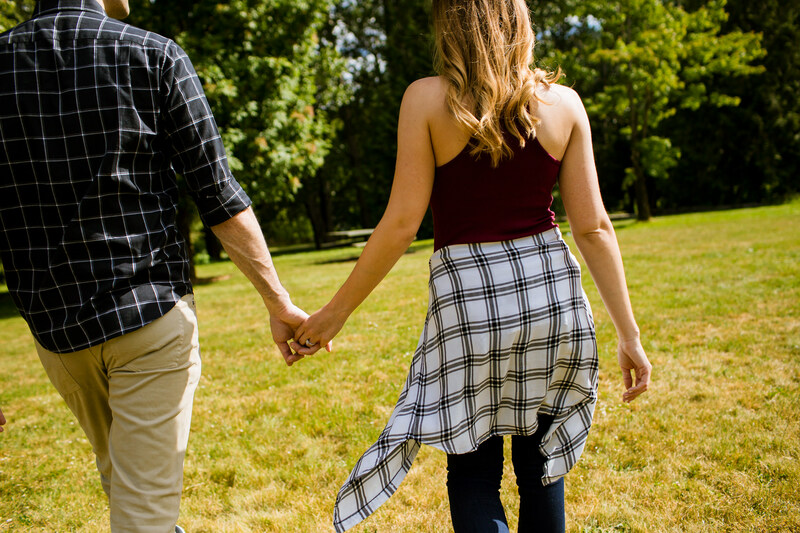 You can nestle down in the forest like trees and maybe even climb them if your couple is up for it. You can leave the bridge and hit up a pub in St. Johns which is quickly transforming into a wonderful Portland neighborhood full of character. 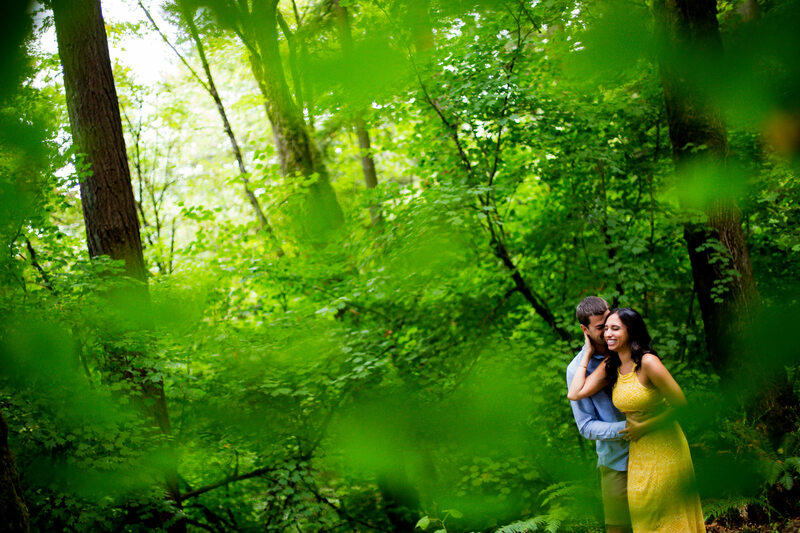 Lucky for us, Jody and Blake were up for almost anything for their engagement session with Daniel earlier this spring. 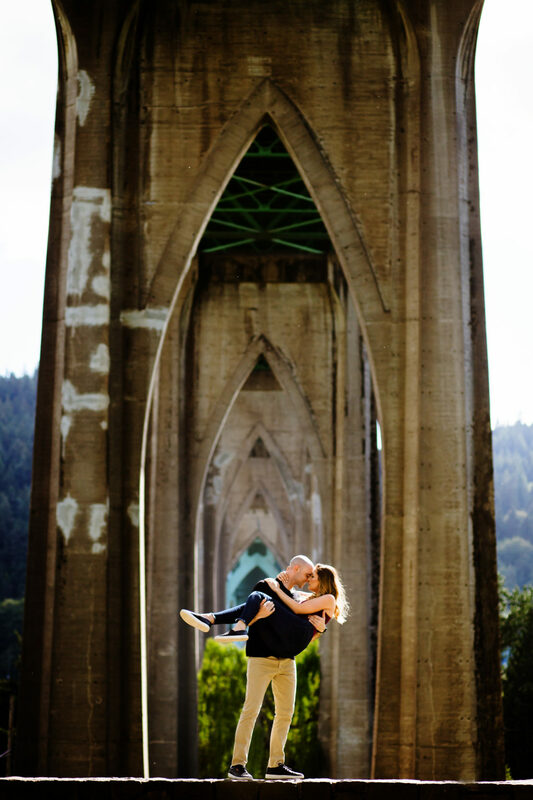 The crew took full advantage of Cathedral Park in all it’s glory. 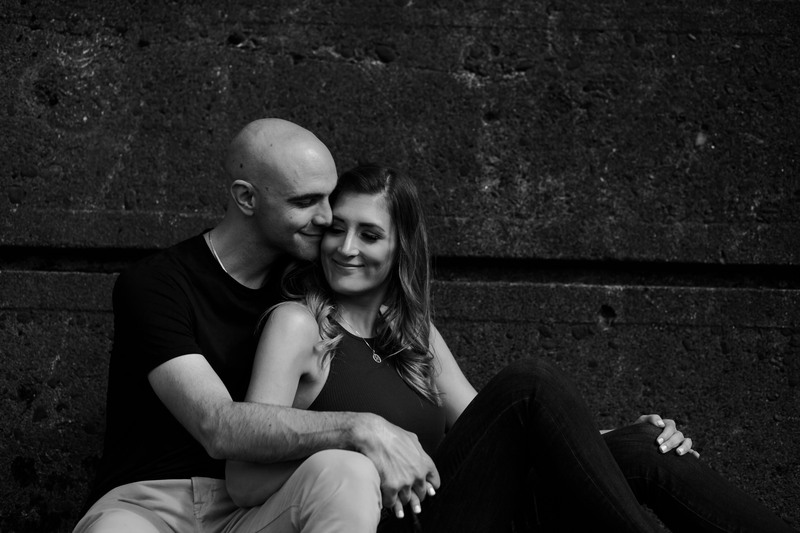 We’re so excited for their Salem wedding in just a few weeks, and to be working with such a fun loving and relaxed couple. These two enjoy many of the same things we do, from Blazer Games with a cold beer to traveling and hanging with our closest friends and fam. They know what’s important to them and we love that in a wedding couple. 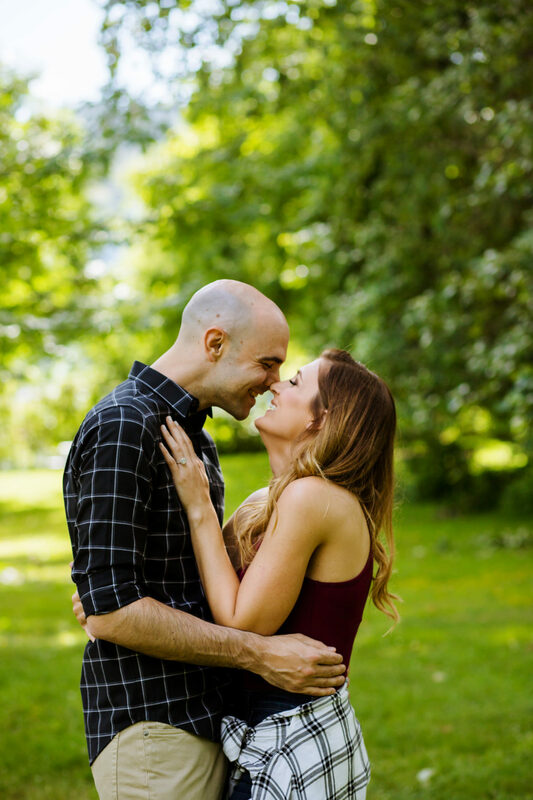 We can’t wait to see how their creative vision and fun personalities unfold at their big bash. We can already feel it’s going to be one of our 2018 favorites.